The church came together many times over the years to renovate and improve their place of worship. 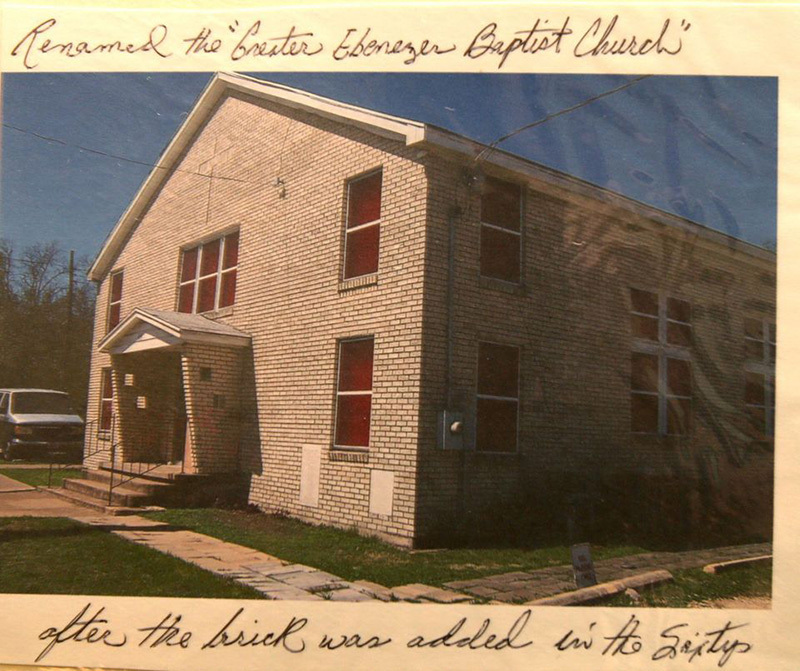 in 1969, the old wood-frame church building was wrapped in brick. Note the red windows on all sides of the building which took the place of the much more expensive stained glass.